Hello and welcome to Boomdeeadda! Everyone calls me Boomdee here, a nickname I was given by fellow Blogger and dear friend Alys from Gardening Nirvana. We met right here on my blog, cool right? Since then, we’ve visited many times and traveled together too. You might already know this but, isn’t it a small and beautiful world when you’re a Blogger? Actually, I’ve made friends all over the world. It’s really the most amazing thing. Hey! Are you crafty? Me too! I go mad for everything, including scrapbooks, planners, mixed media, art journaling and heavens knows what else. 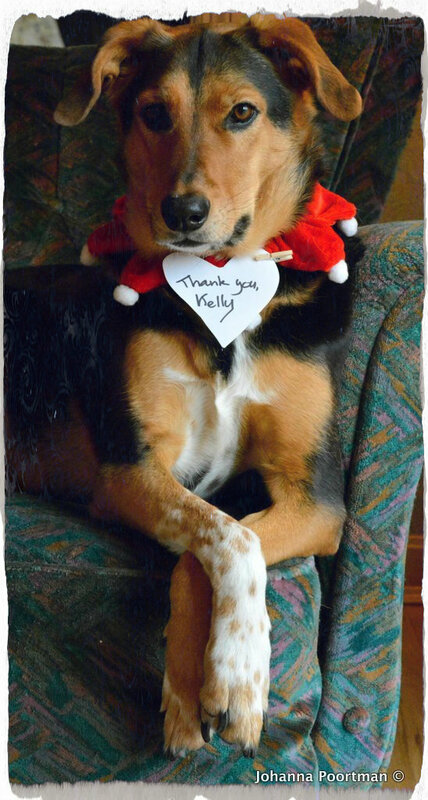 If you have a room full of the stuff too, follow the Link to ‘Kelly Made It’ in the header. I’m also rather passionate about dogs, cats, squirrels, birds, bunnies and well you get the picture. If you hang around with my friends and I here, you’re going to come across the biggest animals lovers you’ve ever had the pleasure to meet. BTW, that’s also why I’m a vegetarian. It’s easy when you love animals so much. I’m a mum to two pampered kitties. Petals and Blossum were a birthday gift from my brother. They’re a big part of our lives and so, part of the Boomdeeadda team too. I saved the best for last, there’s a Mr B too. He’s the dream boat that married me in 2001. Yep, the best day of his life! Ha! Hi Kelly, Nice to meet you here. You are lucky able to find friends through this site and travel together. Hopefully we can meet one day. We are (Yunni now writing to you, and Mickey) just started the blog last month since our beloved travelbuddy stop providing service. Both of us love to travel and eat 🙂 Yunni loves dog and birds watching. It was Mickey who introduces the birds watching back in 2012 and Yunni is hook now. Again, thanks for stopping by my blog! Yeah… if you bake bread or feed sourdough with white sugar, it gives a foul odour and bitter taste to the bread… this is because of the peroxyde, used to discolour the sugar… it’s the same thing used to discolour hair before dying it…. Again, white flour is the same… these things are not naturally white and what’s used to whiten them is not good for us humans… I only bake cakes and bread with wholemeal flour! Many thanks for the visit and the like. Please return again soon and often. Best. . . .
Hi Boomdee, you might want to pop over here http://animalcouriers.wordpress.com/2014/01/04/happy-new-year-everyone-and-giveaway-results/ – something awaits you! Thanks for dropping by my blog and for the comments, likes and follow…always happy to meet a virtual kindred spirit, especially a Canadian one who is practically a neighbour ( only one province away)! 🙂 PS anyone who loves Ellen is good people. & You as well !! Thanks so much for popping into a number of posts and all your kind messages too. Considering you may get visitors from around the world at WordPress, we totally can consider ourselves neighbours. Welcome and I’ll look forward visiting along the way 😀 Cheers! Yah! Annnnnnywwwwwaaaaayyys, thanks for stopping by Anna! I love kitties! (Sadly, my allergies don’t, but I do get used to them over time. I also really like your outfit in the picture, it all fits so well while being out of the box. Thanks for liking my page! HI! well how nice of you to say. These little shorts are very comfortable in spring and fall. Too bad spring hasn’t arrived here yet 😦 There’s a flippin’ snow warning for the weekend…….urgggg. The weather here has been crazy. Tuesday was like summer, then yesterday and today were cold and today was massively rainy. Global warming I tell ya! I’m not sure where you live, but spring has been touchy here too. Yesterday was beautiful, still a touch of a breeze. Then today, chilly and gray and colder. I still think global warming is a great deal to blame. We live in central Alberta where the weather is always unpredictable. They say, “if you don’t like the weather….wait five minutes”. It can snow one day and be 15 C the next. But really, everyone is saying how long winter is this year…:( I truly think nothing will ever be seasonal again, we are nearing a tipping point. I actually mentioned that there had to be something going on with the planet weather in general, with all the natural disasters that happened in such a short period of time. Hurricanes, tsunami, earthquakes, and so close together. I feel like it was once in 10 years or something a big disaster would hit, but now just as we’re trying to recover from one/two, another one hits elsewhere. Louisiana (Katrina), Haiti, Japan. New York City (Superstorm Sandy, which I dealt with), and I just read about another earthquake in China. I just keep thinking, global warming people!!! Course I hear the excuse “But it’s cold,” and I say, yeah, because the ice caps are melting, so it’s making everything colder and weird. AGREED, 110% I have little faith that there is a way back and I don’t say much because where I live, every household is tied to the oilpatch in some way or fashion. How do you mean tied to the oilpatch? Hi Boomdeeadda……We’re FINALLY visiting your blog and meeting Petals and Blossum for the first time….they are certainly beautiful girls. Love the way you’ve set up your blog – and the theme is the OTHER ONE we almost used for Sam’s blog – I like all the colors and swirls. Sam sends a big Sammy hug….people seem to look forward to those! You are so sweet. Thank you so very much for all of your comments to my newbie blog! Much appreciated. It’s late here on the East coast and I should be shutting this damn thing off, but I can’t wait to dive into your posts soon – I like your “voice” and that’s good writing! Well, I’m a night owl too so you’ll never be up alone, but we do need our beauty sleep at some point LOL. Thanks so much for your nice message, come on back when you can…..we’ll all be right here. Sweet Dreams. and there it was your “naming my blog” write up….I’m silly. Lovely blog 🙂 Happy to follow! Helloooo and welcome. What a terrible host I am to not see your message sooner. I honestly don’t know how it slipped by. I do appreciate your visits, I’ll have to pop by. 🙂 Thanks for following! Wow, congratulations on your award Jean and thanks so much for the nomination. It’s always nice to be recognized. I enjoy visiting your Blog too. Lovely and amazing blog you have here! So happy to know you liked it, Thank’s so much for popping in, I really appreciate it! Interesting and Great Blog you have here. Your work is amazing and very informative. Thumbs up! So nice of you to comment and thanks for coming by, I really appreciate it. I started Blogging as a place to document projects & ideas, but it’s been so much more special than that. Great support and I always find interest in what others are creating too. Cheers! I say welcome to the family. Is my pleasure running into you on wordpress, i’m glad for the connection thus far :). Keep doing what you do! I love your blog so much I nominated you for The Mrs. Sparkly Ten Commandment Award. To accept it see (http://wp.me/p2eEip-up)my blog for the rules. You do not have to accept it if you do not want to. I will still think your blog is awesome if you don’t. Have a blessed day! Awwww Nancy, that is super generous of you! I love that you included me in your list. I always enjoy your stories too, so well written and interesting. Although, I won’t post it to my sight (I just did a ‘sunshine award’) it makes me smile to know you thought of me! Congrats on being nominated. No worries as long as you know you are appreciated! lol Have a great day! Wow, I really spent some time there. I loved the typography pillows and another link to a canadian gal making purses….what a great link to see what other canucks are up to, you’re so generous, always sending something fun my way, merci mon ami! de rien! So glad you had fun there. Just wanna say I love your socks in the pic! Hell no,,and I look forward to reading and keeping up with your blog,,you sound like my kinda gurl! You are just the nicest gal, thank’s for promoting Boomdeeadda. I’ve just enjoyed your visits and support so much. You write a great blog, and it would seem we have so much in common. Nice to find a good soul to relate too. Cheers Kelly. I feel the same way. I’ve enjoyed our connection a great deal. Who knew blogging could lead to this? It’s a comfortable camaraderie, across the miles and the wires that make up our vast web. I love it. Slinky-Malinki….too fun! I took black cats since there’s soooo many of them at the rescue society.